Keeping Track of Your Word Count: Does It Work? Last year, I did a lot of rewriting, but not so much new writing. So one of my goals this year is to keep the new writing flowing. It doesn't matter if I only work on something for ten minutes a day. My reasoning: even ten or twenty words is better than zero words. 1) Keeping the flow going. Maybe it's just the story I'm working on, but I do find it's easier to get back into the story for each writing session. 2) More pencil on paper writing. Sometimes when I'm tired at the end of the day, I'll realize I haven't worked on my story. And I feel a twinge of guilt because I haven't filled in anything on my chart. So I get out my writing notebook (going to the computer is too much trouble because at this point I'm probably lying in bed). Since I don't have a backspace key, I just write freely about something I think might happen in the story. I know I can always fix it up later when I type it in. Would I recommend keeping track of your word count? I'm not sure it would work if I started obsessing about the exact number of words I wrote each day. That'd be too much pressure. But it is motivating to write something on that calendar every day. It's okay with me if it's just a paragraph or even a sentence. Of course, once I get thinking about my story, it usually turns into more. When I found out I’d won a copy of this book in a contest at Falling Leaflets, I was thrilled. I’d heard so much about it that I really wanted to read it. And it was definitely worth the read. 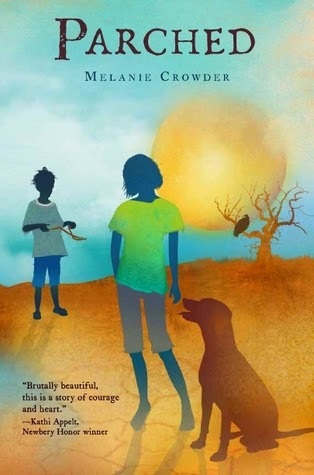 I enjoy reading survival stories, but I haven’t read many about surviving drought, so all the details about the drought and how the characters were feeling were interesting to me. Sarel, Nandi and Musa each had their own challenges and they were all determined to survive somehow. This book made me think about what it would be like not to have enough water, and even though it was sad at times, I would read it again. As a writer, there were many things I admired about this story. Including a dog’s point of view along with the points of view from two different children was an interesting and different approach I hadn’t seen before. I liked how the author made these points of view quite distinct. Even more worthy of study is the way the author uses language – each sentence is written with spare prose that creates an image in the reader’s mind, almost like poetry. This is a wonderful book to read if you love the beauty of how words can be put together. Melanie Crowder lives and writes in Colorado. Parched is her first published novel. For more info, visit Melanie Crowder’s website. "If you’re suffering from hypothermia, or excruciating chafing, by all means, take some time off to recover. Otherwise, keep writing. The finish line is out there – somewhere." Even though I don't do marathon running (or any kind of running, for that matter), I can totally relate to the drive to push past obstacles to reach a finish line, whether it's the end of a chapter or the end of a novel. Sometimes in the middle of a novel it can feel like you're lost or trapped and can't see the way out. But if you keep going, you'll eventually get to the end. You just have to keep going! While Quinn struggles to go on — up a mountain and through the night, as his muscles break down and he begins to hallucinate — we learn why the ultra-marathon is only the second hardest thing he has endured in his young life. 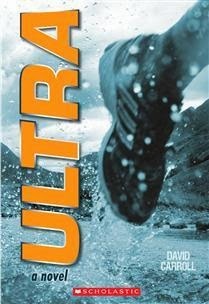 And maybe this devastating event from his past is exactly what Quinn has been running from . .
I’m not a big fan of sports-related books, but Ultra is an emotional story that made me cry. I can relate to the idea of not giving up on something, even though you face challenges. I especially liked the relationship between Quinn and his little brother Ollie. This is another story with a family trying to get through a difficult time. The story is structured as a transcript of an interview between Quinn and a TV talk show host, which was an interesting way to present the story. In addition to being a writer, David Carroll is an ultra marathon runner and a producer for CBC radio. Ultra is a finalist for the Ontario Library Association's Forest of Reading Awards in the Silver Birch category, and it is a finalist for the CYBILS (Children’s and Young Adult Bloggers Literary Awards) in the Middle Grade Fiction category. For more info, visit David Carroll’s website. King Pig is grand ruler of the sheep. He can make them do whatever he wants (clean his castle), whenever he wants (the middle of the night). But for some reason, he can't seem to make them like him. Until he has a brilliant idea! King Pig marches all the sheep into his castle and sets them to work dyeing, cutting and knitting their wool into a pile of fancy new clothes. He prances out in his spectacular, intricate, rainbow-bright fashions expecting applause and adulation, but . . . NOTHING! The sheep are so preoccupied with themselves (could it be that they're naked and cold without their wool?) that they don't even notice him! What's a king to do? When King Pig finally thinks of a way to make amends, it may not be perfect — but it's a pretty good start. This is a great example of a story that starts with a clear problem right up front and develops as the story continues. I love the way the story doesn’t draw conclusions, but gives the reader just enough to think about so they can draw their own conclusions about how the sheep are being treated. It’s easy to see how the illustrations are an integral part of the story. I especially loved how the expressions on the characters faces add to the story. I’d read this again and use it as a mentor text for writing my own “problem story”. I loved the clear, large illustrations that make this book so easy to use in a large group read aloud. This story has an important message about friendships, how to be friends, and bossiness that comes through in the illustrations and the text. It’s a great book for starting a discussion about what it means to be nice and how to think about others. I also liked how the ending acknowledges that the way King Pig makes amends is just a start, opening the door for brainstorming about what other things he could do to be nicer. 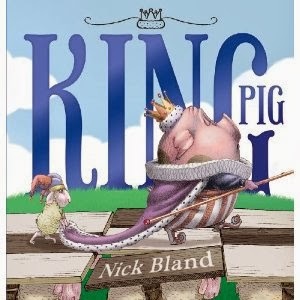 A great activity to go with this book would be to write a new ending with another idea for how King Pig could make amends. It would be interesting to discuss the pig in this story in relation to the pigs in the three little pigs, and the idea of the bossy or bully character (and it’s not always a pig) as well as the house or castle made of bricks. I also really liked the castle in the illustrations and this would be a nice book to include at a centre with castle building materials. I really enjoy reading books about families and this one was great! The character of Blue and the tragedy of losing her twin sister drew me in. I liked how the author set up some mystery by not explaining the circumstances of her twin’s death until well into the story. At the same time, Blue’s struggles with friends and family were entertaining and heartbreaking. This book had lots of quirky elements (like the pet rats) that were a lot of fun. The film transcripts and diary entries were used quite effectively by the author. I also really enjoyed the dialogue between the siblings – it seemed natural and appropriate. I got a strong sense of everyone’s personalities. I'd read this book again to study the dialogue and how the author brought out character through details mixed with dialogue. Natasha Farrant lives in London and is a literary scout. 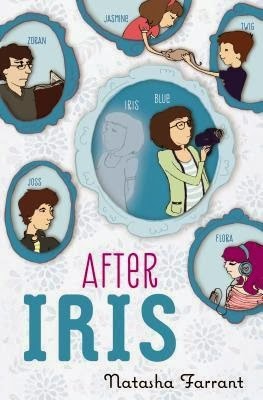 According to her twitter feed @natashafarrant1, there is a sequel to After Iris in the works. Something to look forward to! For more info, visit Natasha Farrant’s website. I've been thinking about book covers lately. I like to say the cover doesn't matter when I'm choosing what to read, because now I mostly discover books based on reviews or descriptions from other bloggers or publishers. But I don't totally ignore the front cover. It's a clue to what's inside. And when I'm browsing at the bookstore or library, I rely on a book's cover to catch my eye, even before I read the jacket flap. When my daughters were reading middle grade books, they definitely made decisions based completely on the front cover. One daughter often rejected books because they had "bad covers", though she could never quite explain what that meant. The other one was more drawn to covers with subject matter that reflected her interests--books with animals or fantastical creatures. The cover gives that important first impression. If I feel like the story is wildly different than what I expected from the cover, I feel a little disappointed. I like covers that hint at the mood or emotion in the story. How do you feel about covers? Do you "judge a book by its cover"? One of the reasons I've been thinking about covers is because four of my writing group friends have books coming out soon! It's interesting how a unique cover captures the tone and feeling of the story. 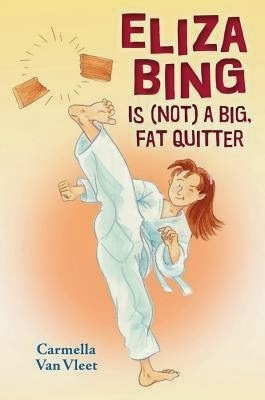 Carmella Van Vleet has her middle grade debut with ELIZA BING IS (NOT) A BIG FAT QUITTER! (Holiday House Books) on February 14, 2014. This is a funny and touching story of a girl with ADHD who must prove to others (and herself) that she can stick with something to the very end. In this uplifting novel about determination and the rewards of hard work, a preteen girl struggling with ADHD must stick with a summer taekwondo class to prove that she s dedicated enough to pursue her true passion: cake decorating. Even if I hadn't read early drafts of this one, I could totally tell from the cover that it's going to be humorous and about an ordinary kid in an interesting situation. This cover really sets the tone for this mythological adventure! 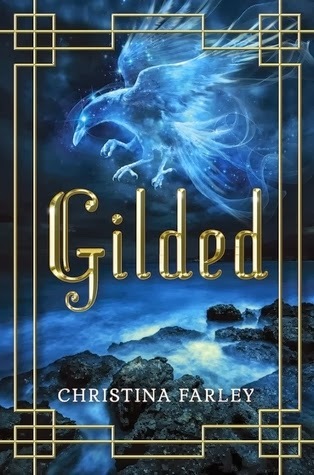 Christina shares her thoughts about the cover over at YA Books Central. And you also have a chance to win a Kindle Paperwhite. 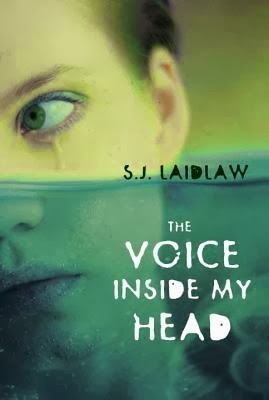 Seventeen-year-old Luke's older sister, Pat, has always been his moral compass, like a voice inside his head, every time he has a decision to make. So when Pat disappears on a tiny island off the coast of Honduras and the authorities claim she's drowned - despite the fact that they can't produce a body - Luke heads to Honduras to find her because he knows something the authorities don't. From the moment of her disappearance, Pat's voice has become real, guiding him to Utila, where she had accepted a summer internship to study whale sharks. Once there, he meets several characters who describe his sister as a very different girl from the one he knows. Does someone have a motive for wanting her dead? Determined to get to the bottom of Pat's disappearance, Luke risks everything, including his own life, to find the answer. And last but not least, here's a book that I just know will be funny from the title and cover! 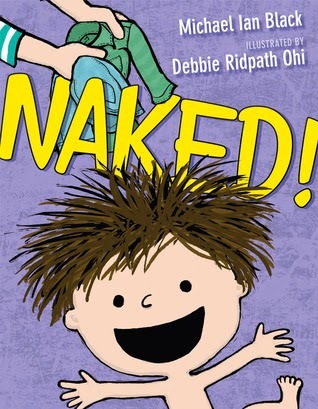 Debbie Ridpath Ohi, created the cover and illustrations for NAKED! (written by Michael Ian Black, Simon & Schuster Books For Young Readers), which is scheduled for April 29, 2014. I don’t have a book to talk about today for Marvelous Middle Grade Monday since I’m still a bit slow to jump back into blogging after my two week break (or maybe it's because of all the shoveling I've been doing). But I will share my favourite MG reads from my 100 book challenge of 2013. For the past couple of years, I’ve challenged myself to read 100 MG and YA books each year. I decided that if I was really going to take my writing seriously, I needed to immerse myself in reading the kinds of books I want to write. Last year, I made more of an effort to divide my reading equally between MG and YA. 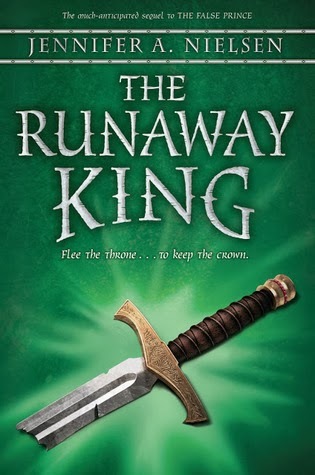 and possibly my favourite of all, The Runaway King by Jennifer Nielsen. Most importantly, I'm going to try to think more about the structure of some of the books I read, since this is one area I need to work on as a writer. Do you have any reading goals for 2014?